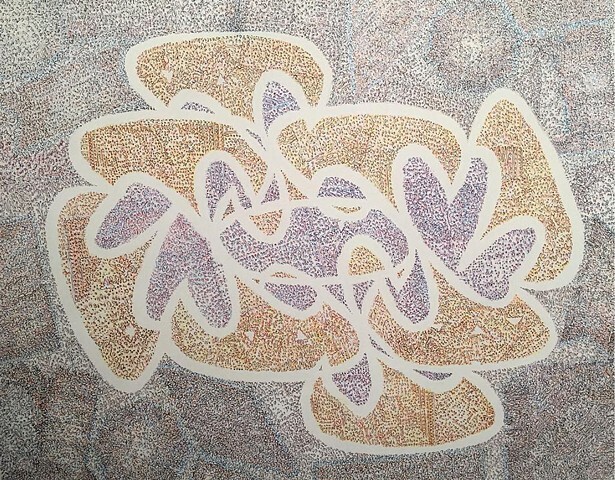 A layered drawing with negative white space acting as lines that create patterns. The same drawn shape has been repeated and overlaps. The colored areas are layered in three colors each. The background is brown, blue, and black. Some of the shapes are yellow, red, and black. The other shapes are blue, purple, and red. By layering the ink colors I get an optical blend.